At Kraft Davies, PLLC, we represent individuals who have suffered paralysis as a result of the reckless or negligent actions of others. Whether sustained while on the job or on the road, our skilled attorneys provide aggressive advocacy for victims of maritime accidents, dock and pier injuries, construction accidents and motor vehicle accidents in Seattle and throughout the states of Washington and Alaska following a serious injury. 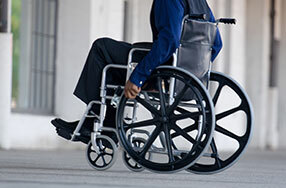 Has your loved one been the victim of paralysis due to a serious workplace injury or other type of accident? For the efficient, aggressive representation you need, contact us at 206.624.8844 to schedule a consultation. While some patients may be able to recover some independence through use of a wheelchair or through occupational therapy, many will require continued assistance to perform even the most basic of tasks. Our firm seeks compensation for all our clients' needs, including initial medical expenses, anticipated future medical costs, living arrangement alterations and assistant care. Our Seattle personal injury attorneys understand the life-altering impact paralysis can have on you and your family. That is why we work closely with medical experts and occupational specialists to build strong cases demanding full and fair compensation from liable parties. We prepare each case from the beginning as though it will go to trial, though we have often been able to obtain positive results on behalf of our clients through assertive negotiation. As a service to our clients, we offer a free initial consultation and case evaluation so they can determine how they wish to proceed. For more information, contact us to discuss your case with one of our experienced Seattle paralysis injury lawyers.